William Lee “Bill” Shoemaker is in a league of his own. The jockey dominated American horse racing for more than a quarter century. He held the record for all-time wins for an amazing 29 years. No one was quite like “The Shoe” when it came to handling a horse. The fans of EZ Horse Betting should know a few things about this racing legend. Shoemaker was born in 1931 in a small Texas town. It could be an urban legend, but the story goes that Shoemaker was so small he was not expected to live. His family didn’t even think he would last through the night. Little Bill was put in a shoe box and placed in his family’s oven for warmth. Even though the future jockey made it to adulthood, his size would always be small. Shoemaker stood just 4′ 10” , and he weighed less than 100 pounds for most of his career. Bill Shoemaker dropped out of high school to ride race horses when he was just a teenager. He would begin his career on the tough California and remain there for most of his riding days. The first horse he won on was at Golden Gate Fields on April 20, 1949. The horse was named Shafter V, and the ride got Shoemaker noticed. By 1951, Shoemaker had won the coveted George Woolf award for his character on and off the track. He was earning a substantial amount of money each week, and his parents asked that a guardian be appointed on his behalf. The Los Angeles Superior Court deemed that the 19-year old Shoemaker would have his finances handled by Horace Hahn, an attorney. This move was approved by Shoemaker’s parents, even though the young man had passed the age of majority. For his part, Shoe didn’t seem to mind. He just wanted to win races. And win he did. He won so many races that he was awarded the top honor for jockeys in 1981 when he was 49. By that time, Shoemaker was well on his way to being the all-time leader by racing wins. Among those wins were multiple victories in the Triple Crown series . Shoemaker won a total of 10 times in the series. It was a loss in the Kentucky Derby, however, that haunted Shoemaker for the rest of his life. Bill Shoemaker was given the mount on Gallant Man in the 1957 Kentucky Derby. One of his main jockey rivals of the day, Bill Hartack, was also in the race aboard Iron Liege. No one was giving Hartack much of a chance on Iron Liege, but nothing would have pleased Hartack more than beating Shoemaker. The two of them had a strong professional rivalry and were considered to be the best jockeys of the day. The race played out as expected, with Shoemaker and Gallant Man having their way. Iron Liege and Hartack could only mount a late charge in the hopes of claiming second. Then the unthinkable happened. Bill Shoemaker misjudged the finish line at Churchill Downs. He stood up in the stirrups too soon, and Hartack cruised past for the win. In 1986, Shoemaker would redeem himself in the eyes of the world when he rode Ferdinand to victory in the Kentucky Derby. Shoemaker was 54 years old at the time, making him the oldest jockey to win the Run for the Roses. He would lead Ferdinand to win the Breeders’ Cup Classic the following year. Bill Shoemaker set the record for the most wins by a jockey in 1970. He passed the old record of 6,032 set by Johnny Longden. Shoemaker would hold the record for a total of 29 years and amass 8,833 total victories. His last win came in Florida at Gulfstream Park in 1990. That same year, Shoemaker was given the Mike Venezia Award for sportsmanship and citizenship. With his racing days behind him, Bill Shoemaker found himself turning to drinking as a way to replace the high he got from racing. The drinking quickly became a problem, and in 1991 a car accident would change Shoe’s life forever. Shoemaker was drunk behind the wheel and rolled the vehicle he was in. There were no other cars involved, but Shoe was paralyzed from the neck down. He would spend his remaining days in a wheelchair. Eventually, Bill Shoemaker found a way to remain close to the sport he loved. He authored a number of murder mysteries which featured a former jockey as the hero. This would be one of his passions until he passed away at the age of 72 in 2003. 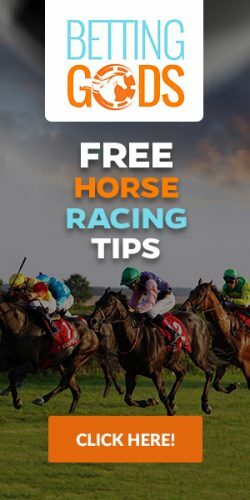 Did you know that you can bet on the hottest jockeys today when you create an account with our recommended racebook? You can even get a free bonus just for signing up. Best of all, you can play the races on your computer, smartphone, or tablet.